Did you know you can visit most of the Bay Area's major museums and cultural attractions for free day every month? Just about all museums have one day a month set aside as a free day. They all aren't on the same day, too, so if you plan it right you can take in several museum outings without having to pay a thing. Note that most museums charge for admission to special exhibitions and usually only the special exhibition fee is charged on free days; see details with each museum listing in our ultimate guide to San Francisco Bay Area museum free days below. Also, groups are generally not admitted on free days; check with each museum for their free day group policy. It's All visitors can pay-what-you-wish on Exploratorium's yearly Community Days, when museum entry is on a first-come, first-served basis. Location: Pier 15 at Embarcadero at Green Street, San Francisco. 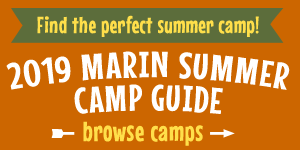 If you can't make it to the museum on any of these free days, don't worry—the Marin County Free Library offers Discover & Go museum passes for patrons to check out. These passes provide free or discounted admission at many San Francisco Bay Area museums, including the Asian Art Museum, the Lawrence Hall of Science, the California Academy of Sciences, the Exploratorium, the Charles M. Schulz Museum, and more. You can even log in with your library card number and print a pass online! You can also check out passes to the Bay Area Discovery Museum at your local Library. Visit their website for more information.